When I first reviewed the Silver Complement4 headphone cable, I didn’t think a cable could get any more transparent and honest. It was my reference cable for nearly all of my reviews. A few months later Peter Bradstock announces his masterpiece…the Prion4. Without hesitation I purchased a pair with all the upgrades and couldn’t wait to test it out. I was initially hesitant about purchasing the $999 Silver Complement4 but immediately jump on a $1,799 cable. This should speak volumes about the quality of Peter’s products. He doesn’t mess around and this Prion4 is his passion project. 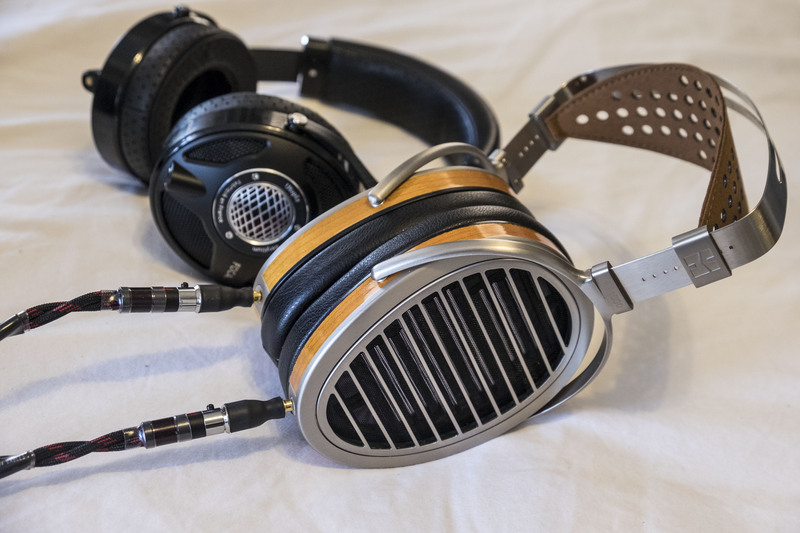 Without getting into all the technical details, I’ve decided to compare/contrast a few high-end headphones with the stock configuration to give listeners an idea of what the (albeit pricey) upgrade will give you. During my long listening sessions, I had to check whether I was playing the same files because it sounded like completely different recordings. The stock cable was dull and lackluster in comparison to the Prion4. 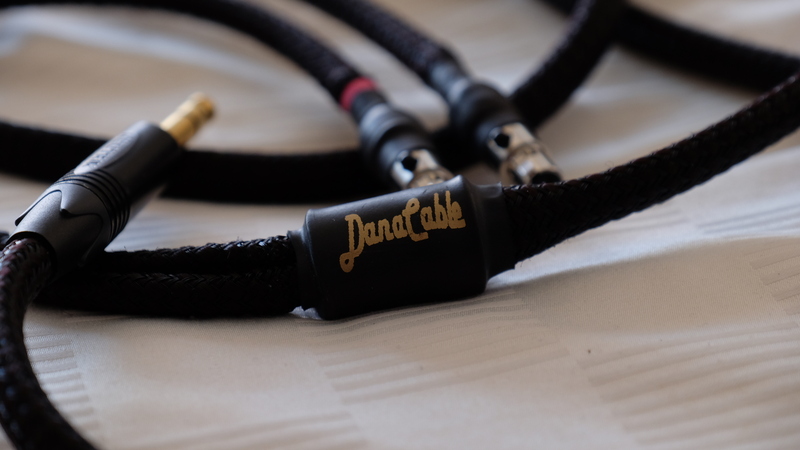 I’ve heard over five high-end cables with the Utopia and this is by far the most detailed and effortless sounding headphone cable of the bunch. From the 1:50 to 2:50 mark of Buena Vista Social Club’s Chan Chan, one could delineate every little nuance in the song. From vocals to drums to guitars, you’ll get a very lifelike and accurate presentation. The stock cable trades a bit of clarity and detail for warmth and smoothness. From the 2:00 to 2:40 mark on Eric Clapton’s Layla (MTV Unplugged), it’s apparent how much this headphone provides in dynamics and tonality. The stock cable is soporific in comparison. The Prion4 envelopes you in this holographic image with an accurate tonality. The backing singers are allowed their own space and there’s just a ton of micro-details to appreciate. It really just breathes life into the song. Before listening to this cable, my initial impression was that the stock cable sounded pretty damned good. After listening to the Prion4, I now find it unacceptable. This cable is unequivocally an enormous upgrade over the stock cable. Without question, it’ll elevate your Utopia. Stock cable is quite flat and lacks musicality. I’m quite sure most people who own this headphone wouldn’t keep the stock cable. The Prion4 removes the veil from the stock cable and gives the music texture and presence. The Chan Chan drum line from 2:00 to 3:00 sounds very tight and natural on the Prion4. The stock cable falls flat and isn’t as refined but does have a bit more low-end. The reverb decay and rhythm is more apparent on the Prion4. Cymbals sound a bit too tinny and harsh with the stock cable while the Prion4 is much more convincing and well-paced. Overall just a much more coherent sound. The stock cable sounds a bit disjoint and piecewise. For busier songs, it was a hot mess. Of all the cables I’ve tested, the Prion4 paired the best with the HEK V2. It balances out the V2’s warmer sound to provide more clarity and dynamics. 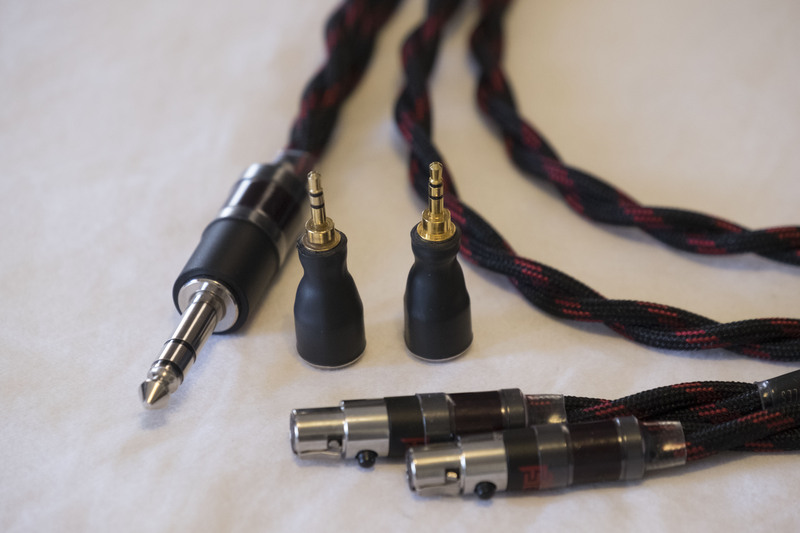 When paired with a High Fidelity Cable Trinity Helix, the sound is even more refined and dynamic. That seismic bass from the Abyss is something to be heard. Seriously. The bass is MUCH tighter. I really like the sound of the Prion4. So much transparency with the Prion4. Very clean sound, no noise, no grain. Very fast but not overly excited. The articulation is amazing. Stupidly detailed…seriously. You won’t miss a thing. If you want to hear the bass capabilities of the Abyss, this is the song. Skull rattling bass. The separation and impact is much better on the Prion4. The Prion4 will surprise you. The blacker background really expands the sound. Pulls all the elements apart in proper fashion. The Prion4 doesn’t just pull you in, it’ll make you stop what you’re doing to listen to the entire track. In all cases, the Prion4 will take your headphone from horse and carriage to a first class flight. Enough said. You’ll get much more clarity, detail, and a cleaner sound. The Complement4 sounds a bit more “grey” and calm in comparison. There wasn’t a single track I found where the Complement4 sounded better than the Prion4 with these headphones. Vocals have more body and better low-end presence. A more engaging and exciting sound. Complement4 sounds flatter and more relaxed. 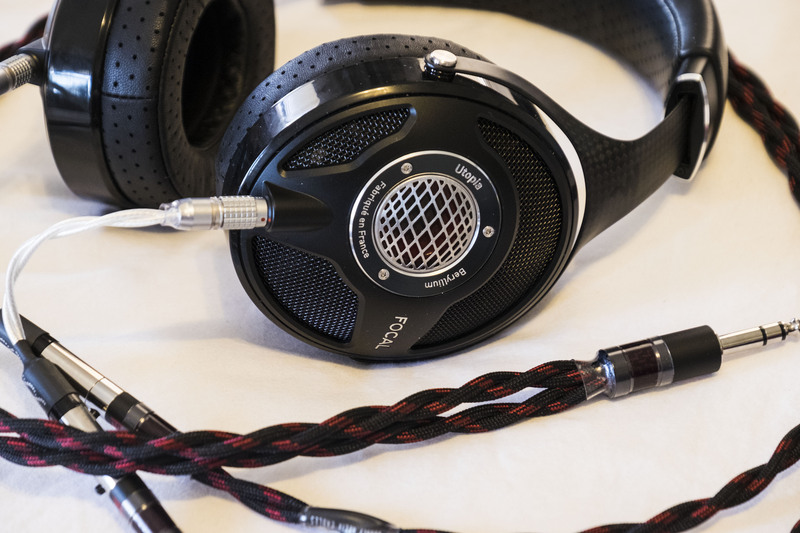 The Prion4 presents a much wider soundstage with impressive separation and clarity. The Prion4 has more energy and textures. It allows the Utopia to show off its enormous extension on both ends. Initially I preferred the smoothness of the Complement4 with the Abyss but after switching out a few components, I realized the cable wasn’t the bottleneck. Overall the Complement4 doesn’t exaggerate and provides a very balanced tonality. The vocals are softer on the Complement4. Has a really convincing and physical bass. That thumb is unmatched. You could pretty much feel the plucks while on the complement4 it’s softer. The complement4 is definitely calmer and softer, which could be ok for some. 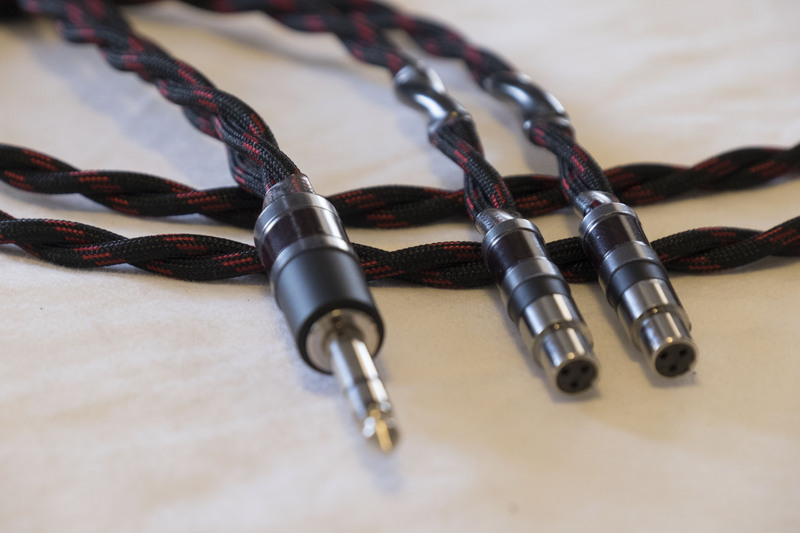 The Complement4 is a beautiful sounding cable in all regards. It’s tonally balanced, detailed, smooth, and honest. The primary benefits for the Prion4 is a much, MUCH more holographic sound, more details, apparent micro/macro dynamics, better layering/separation, blacker background, and better coherence/PRaT. I know it’s cliche, but comparing the two is like comparing upscaled DVD and Blu-ray. The Prion4 doesn’t sound like what you’d expect from a silver cable. It is probably the most transparent and detailed cable I’ve ever had the pleasure of listening to. It has this uncanny way of keeping the musicality and coherence while delivering a very dynamic and involving sound. 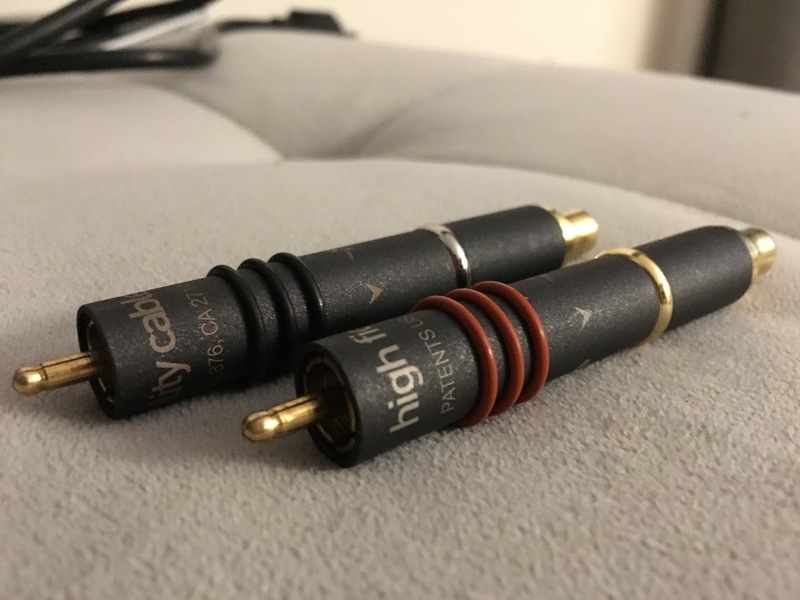 I’ve found they’ve improved the Focal Utopia, HiFiMAN HE-1000 V2, and Abyss stock cables enormously. They were also a significant upgrade from the Silver Complement4. The only small negative I could come up with is it’s slight lack of warmth. Previously, I thought it had a bit of sheen in the mids but it turned out to be a problem on the source end (an ethernet cable of all things). Although unnecessary, warmer gear and a tube stage would definitely harmonize well with the Prion4. It would really give the listener a more lush presentation without losing the detail and soundstage. From all the cables I’ve heard so far, the Prion4 is the only one capable of giving you the best of all worlds. 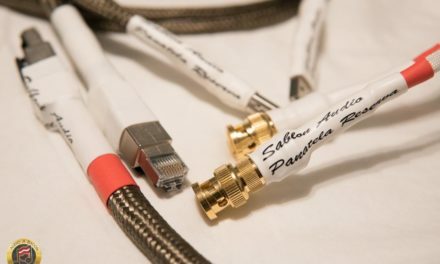 Those in the industry know that Peter is very keen on building these cables himself or with his wife. He always uses the best materials and is a perfectionist when it comes to cables. Did I forget to mention that this is the most beautiful cable I’ve ever set my eyes on? I don’t really care for aesthetics much but I had to pause and appreciate the craftsmanship of this cable. It feels and looks beautiful. If the recording has nuances and details that are left to be discovered, the Prion4 will do it quick and in graceful fashion…without being clinical or harsh. It will bring new life to your recordings and provide a very convincing, transparent, and balanced sound. I wouldn’t be surprised if this is the reference cable for most headphone reviewers out there. 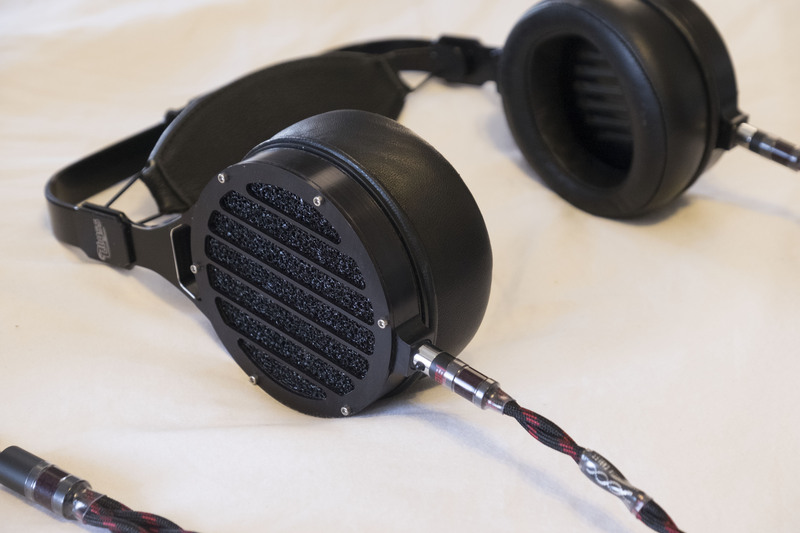 The Prion4 is truly a remarkable achievement in the headphone space. 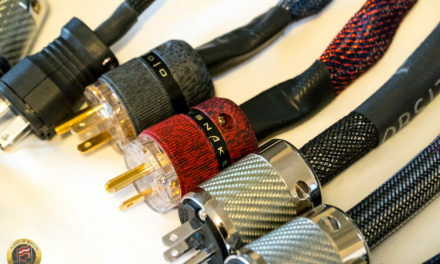 Can I ask which other aftermarket cables have you tried with the Utopia and what was your DAC and source? Love your site. A frequent reader. Nice review of these cables. 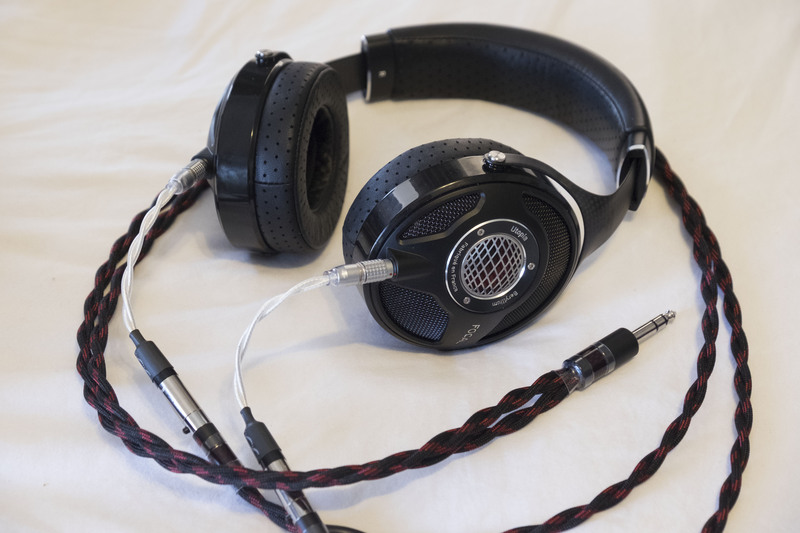 I too have a Dave and would like these cables with Focal Utopias. I notice in the first image that there is an interconnect between the DHC Prion cables and the headphones. Is that a necessary interconnect? Would be nice to plug ’em in directly. Could you comment on cable ergonomics, such as cable stiffness/flexibility/weight? Hey Bill! The adapter isn’t necessary if you get the cable specifically for the Utopia. I use these cables for the Abyss so required an adapter. The Prion4 is a tiny bit less flexible and more weighty than the Complement4. I personally didn’t have any comfort issues with it. These cables are so meticulously built. Hope that answers your question! Definitely does. Thank you. Now have to decide between Prion4 and Danacable Reference Lazuli. 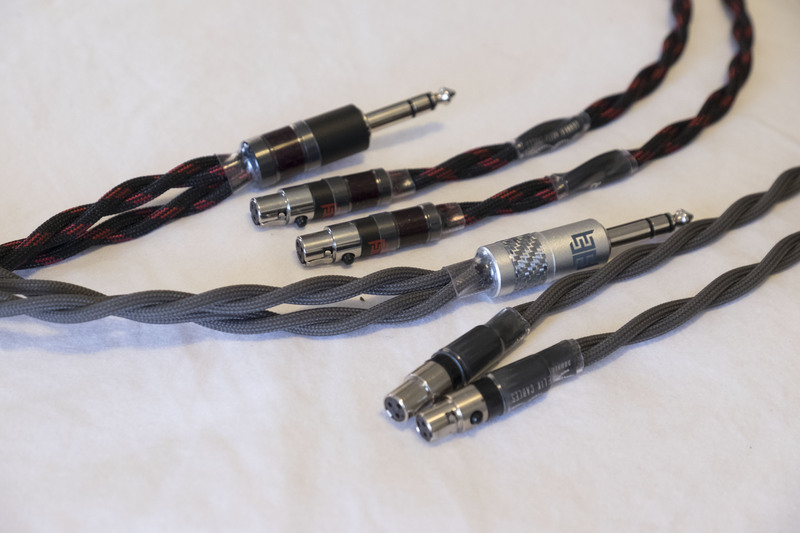 Another person I respect has also recommended the copper route for Utopia headphone cables, but I’m inclined toward silver. If you prefer more of the silver sound, you won’t like the Laz Ref. Stick to Complement4 or Prion4. I may actually have a Complement4 for sale. Let me know if you’re interested. You did a mighty nice review of the Prion4. Thank you, though.